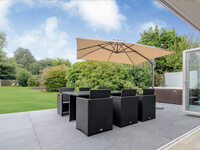 If you’re looking to add the perfect finishing touch to your new and improved outdoor space, Greensquares have a range of attractive garden handrail options to choose from. Whether your tastes lean toward the traditional or the contemporary, we can provide you with a handrail system that adds both safety and visual appeal to your garden. 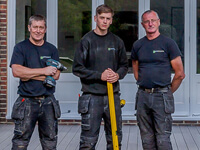 Our garden handrail systems are manufactured to an incredibly high standard using only the very best materials. 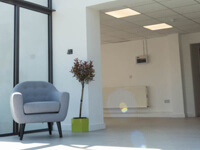 Our balustrading, for example, is made of toughened glass and 316 marine grade stainless steel, and specifically designed with durability in mind. 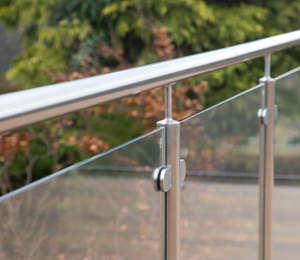 As with our other products, the outdoor handrail systems that we supply require virtually no maintenance whatsoever. 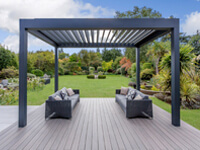 No need to worry about rust and rot – simply sit back, relax, and enjoy your garden without any stress or hassle! 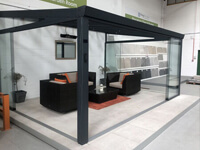 Everything we supply has a fresh, contemporary aesthetic that’s designed to breathe new life into your outdoor space. This is just as true of our handrail systems as of all our other products – whatever you choose, it’s sure to look fantastic! 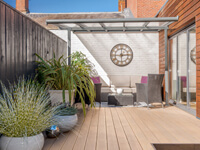 Our RadianceRail composite handrail system is available in a variety of colours, and it makes a particularly perfect partner for TimberTech composite decking. 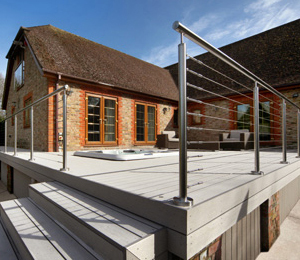 Alternatively, if you’re after a more modern look, you may prefer our Impression Rail aluminium handrail system. 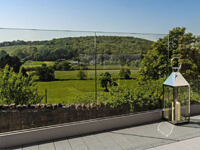 Our glass balustrading systems are extremely popular, and we have a variety of different options available. 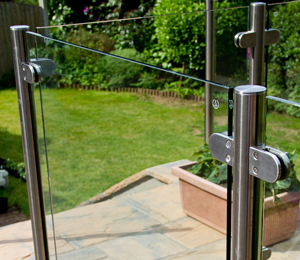 Choose from stainless steel and glass (with or without a top handrail), steel cable rail, or frameless glass. 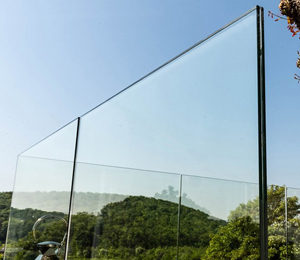 We can even provide frosted privacy glass if you wish. 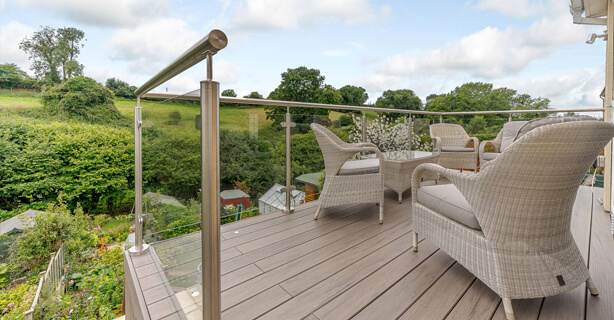 The various balustrading and railing options we have are all designed to complement your outdoor space, but they are also chosen because of their durability, quality and contemporary appearance, to match the rest of our high quality products. 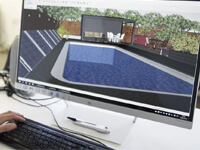 If you’d like to discuss your options, or would like to organise a meeting to obtain a 3D design, then get in touch with our experts and we’ll either arrange a home visit, or organise an appointment for you to come into the nearest showroom.